Most people visit Norway to experience its wild side and they skip Oslo which is otherwise a beautiful city with lots of things to explore. 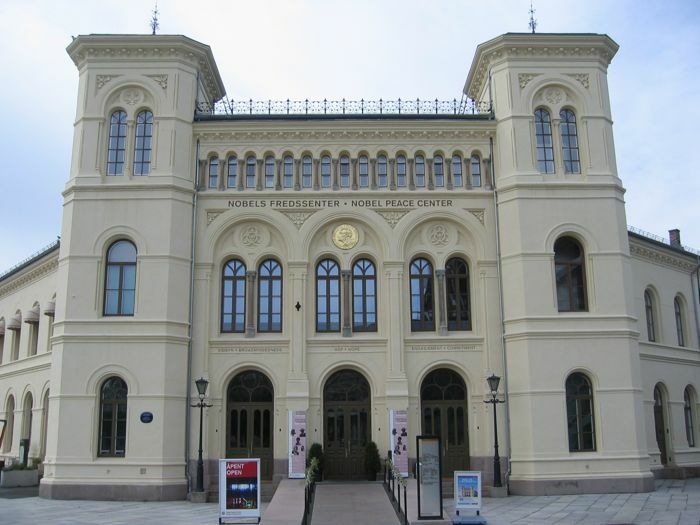 Staying in Oslo is expensive as compared to the other European cities and, therefore, tourists do not include Oslo in their travel itinerary. But if you are entering Norway through Oslo, it wouldn’t hurt to do Oslo in one day. Take out a couple of hours from your itinerary to explore the nearest attractions, especially when most of them are for free. 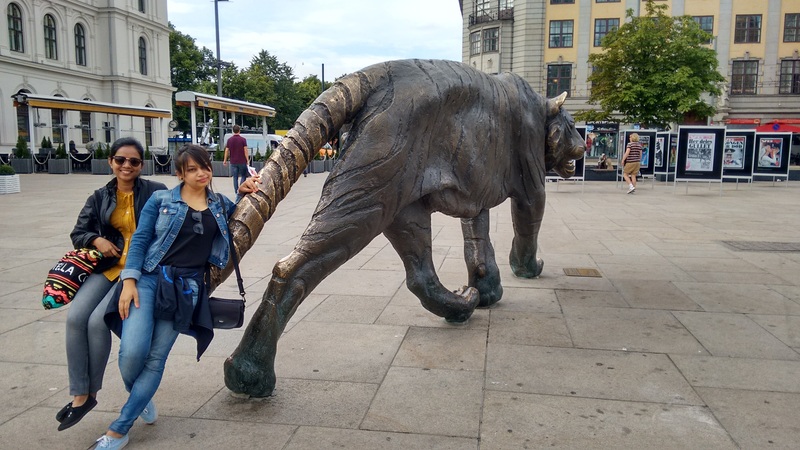 On our 6 hours wait for a flight back to Helsinki, we decided to make the best of our free time and went to see what Oslo had to offer. The city looked inviting on a rare sunny day and we were only happy to walk around. We were lucky to be in Oslo on a sunny day considering it rains a lot in Oslo and transportation in Oslo is very costly. So we bought a ticket or two for the bus (about 4 Euros for a single ticket) but mostly made good use of our shoes. Friendly advice, when in Europe skip the heels and step into a pair of flats or walking shoes. You’ll make good use of it. Else, you can invest in a day pass for about 10 Euros and roam around the city. Anyway, the best part was, the city center was very compact and the things we wanted to visit were within a small radius. Here’s a list of things to do in Oslo in one day or less. 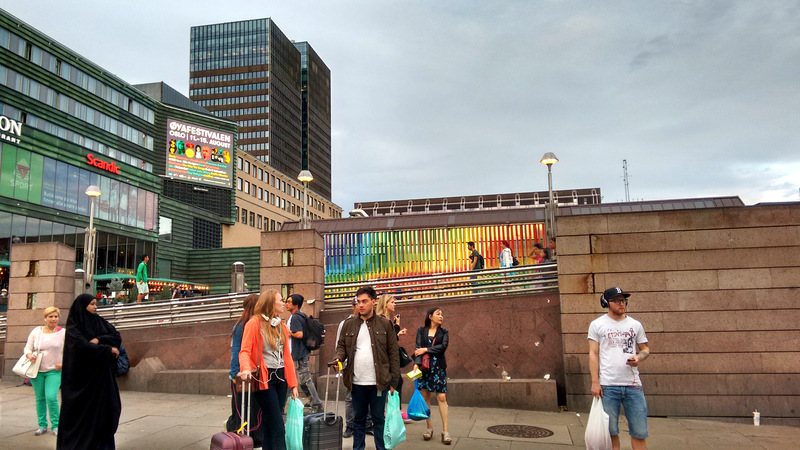 If you are arriving by air or train, it is most likely that you’ll end up at the Central Station known as Oslo S. The station is a pretty sight in itself. You can hang out inside one of the bars and restaurants to kill time. 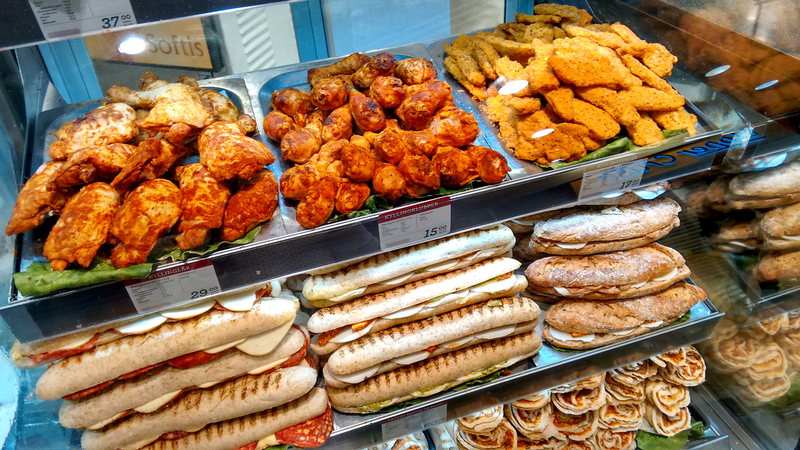 Even if you arrive early in the morning, the shops are open for you to grab a quick bite or a decent lunch. One thing I didn’t like- they don’t have free toilets. So each time you want to visit the washroom you got to swipe the card. So not wanting to spend the rest of the day ‘peeing and paying for it’ we barged out of the station. In front of the main entrance to the station, they have a huge tiger standing. Okay, not a real one. I think it is installed there to help kids play and bored tourists like me to kill time. See for yourself how I enjoyed a couple of clicks near the tiger. It was like fighting my inner demon. Just kidding in case you are beginning to doubt my sanity. Playing with your inner beast. If you exit from the back side of the station, the opera is just a short walk. Cross the road and there you see a pretty building with slanting roofs. Just don’t forget to wear your sunglasses if it’s a sunny day. The glass structure glares back at you each time you try to have a good look. Not very friendly huh? But the opera is definitely worth a visit and looks prettier at night. The best part is, the entry is free and the toilets are free as well. 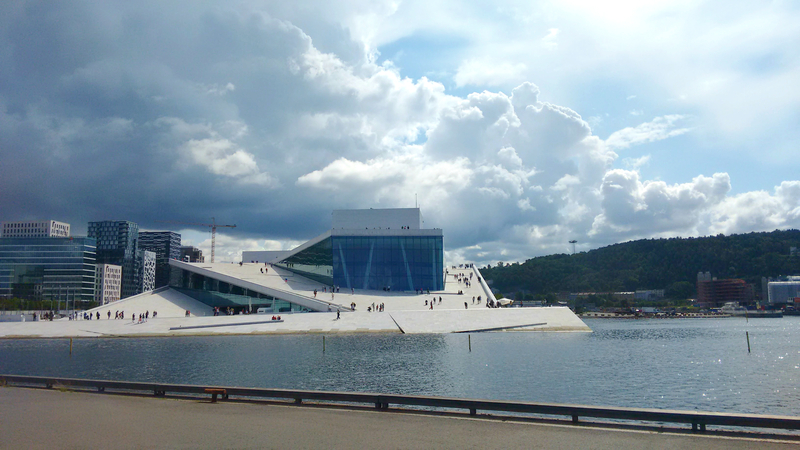 You can roam around, watch the cityscape of Oslo from its roofs, and even watch an opera show. But the show is not free of course. Just head north from the Opera House and you will find the fortress, a perfect place to enjoy a sunny summer day. Known as Akershus Fortress, this 13th-century structure stands overlooking the Oslo fjord. The entry is free. 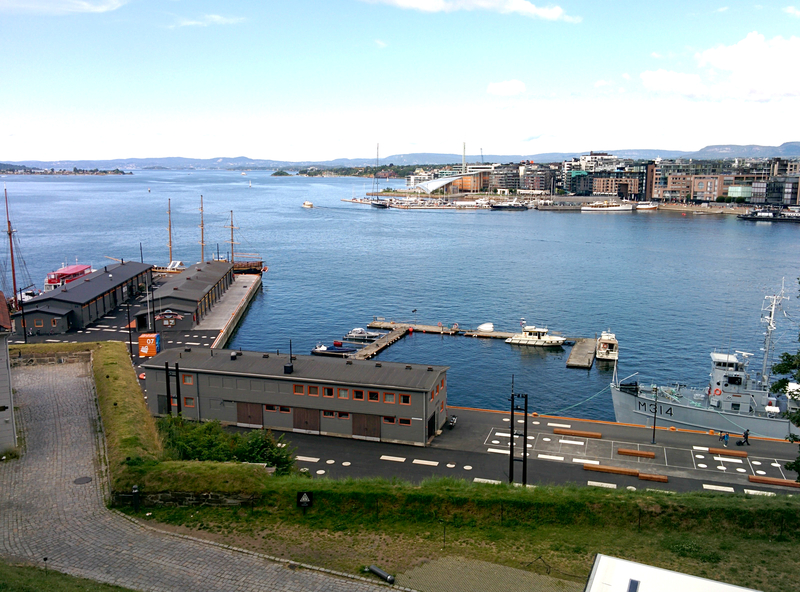 You can walk to the top and have a good view of the fjord. You can also book a guided tour but in my opinion that won’t be necessary. There is a ‘light and sound show’ as well. The fortress is usually quiet when there are not any groups of Japanese tourists. No offense, please! It’s just an observation. Again, it is just a short walk from the fortress but if you are tired you can hop onto a tram and get off at the next stop. The Nobel Peace Center will be right in front of you. Now, everybody knows what does this place stand for. If you don’t, just google. The entry is not free and takes about 10 Euros for an adult, but it gives you access to interesting exhibitions going on inside. We saw it from outside and decided to skip entering. Saved 10 bucks, yay! Nevertheless, we felt a sense of pride (Check this year’s Nobel Peace Prize awardees and connect other dots). 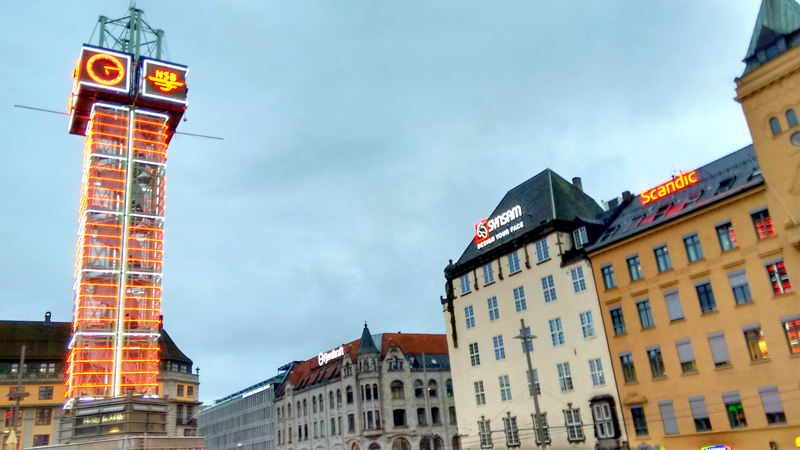 Take a tram (number 12) from the Nobel Peace Center to this largest sculpture park in the world. Named after the creator, Gustav Vigeland, a world famous sculptor, the park attracts more than a million visitors per year. 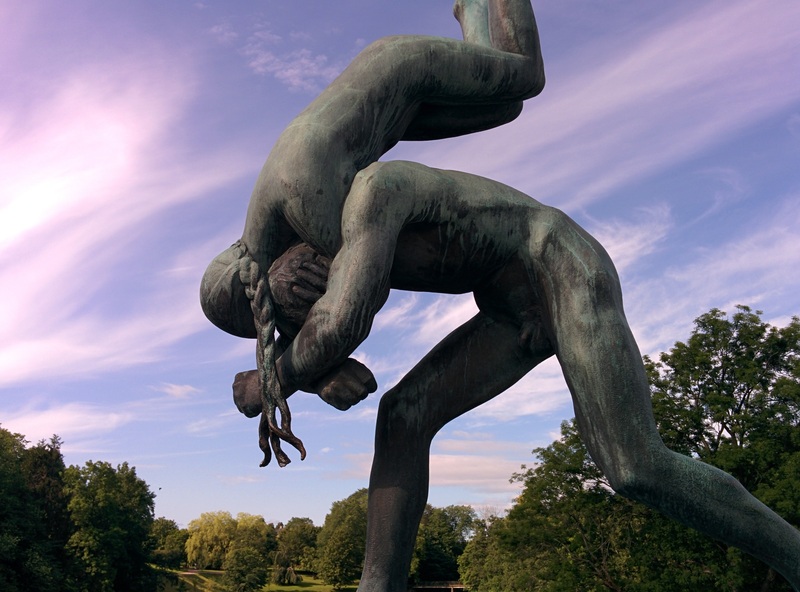 The park is famous for its 200 plus sculptures depicting lots of children and adults in what looks like a fight. They say the sculptures signify our urge to fight the inner child in us. 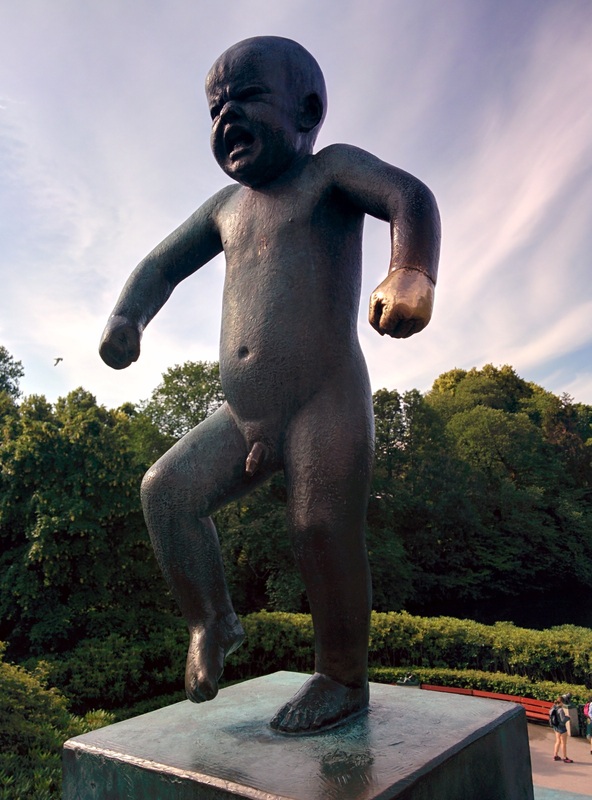 The most famous of the lot is a bronze statue of a little Angry Boy. And not to forget, the prettiest roses in the world, the soothing greenery, and the fountains. The park is open 24×7 and the entry is free. There is another park nearby which is called the Frogner Park. No, you won’t see frogs there. The park is named after the ‘Frogner Manor’ located inside. Come back from the park in tram 13 (or bus number 31) to Oslo City Center. Head Northwest and find yourself in one of the most happening streets of Oslo. From pubs, discotheques to shopping malls, everything you need to kill time exists here. Strike a conversation with the locals or spend your money on expensive Norwegian souvenirs in this street. 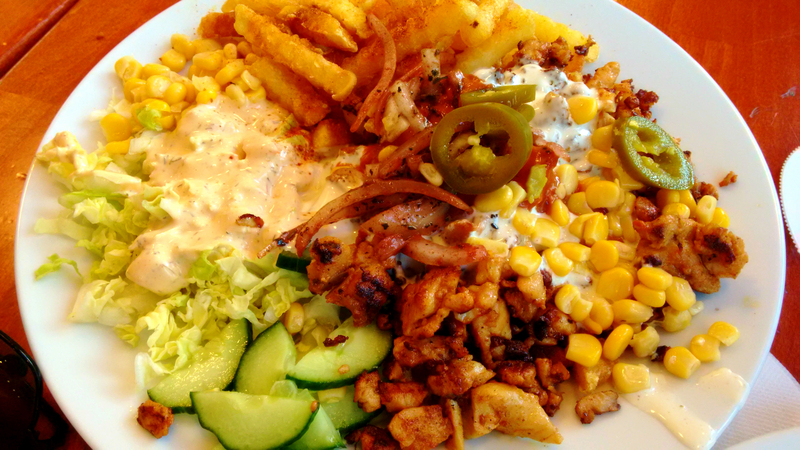 For frugal travellers like me, there are good options to eat out, if not too many. Just step into a donor kebab restaurant and you will be served more than you can eat just for about 10 euros. Or just step into any Indian or Pakistani restaurant. These places are comparatively cheap and your taste palate won’t be disappointed. Remember, Norway has strict alcohol laws. So you wouldn’t want to be seen with liquor in public. Besides, buying liquor (only beer?) at a supermarket is impossible after 6 pm. In pubs and restaurants, the time limit, I suppose, is 10 pm. But who wants expensive alcohol anyway? Unless, of course, you are a spendthrift. Then I guess, you wouldn’t be reading this if you were one. These should be enough to know Olso in a day or a couple of hours. When done, we took the airport train from the central station and waited to pee in the airport where the toilets were free. But to be able to pee you will have to buy expensive drinking water at the airport. There’s no way out, I tell you.